Chad and Pep Jones reside in North New Jersey (NYC suburbs) and enjoy helping others (humans and animals). 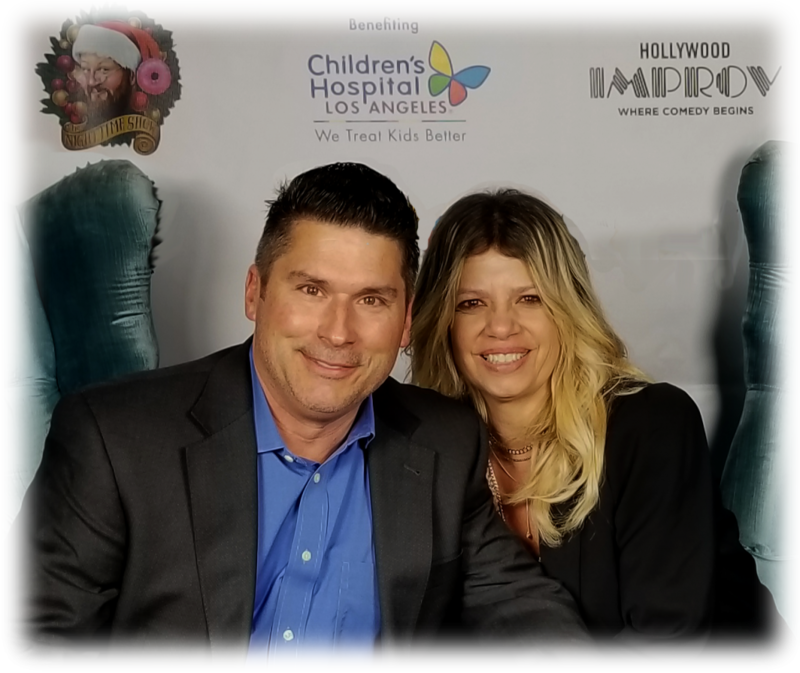 They love their home in NYC, but they also have a love for the Los Angeles community and wanted to share that love with The Night Time Show and their support of CHLA. Chad works full-time in Healthcare IT consulting where he travels to hospitals all across the United States providing assistance to healthcare professionals through advisory services or his trusted consultants. Children’s Hospital of Los Angeles is an organization that has drawn Chad and Pep’s attention for the last two years because of the work and mission of this facility. Because of their love for comedy and entertainment, this type of arrangement is a passion project for them.